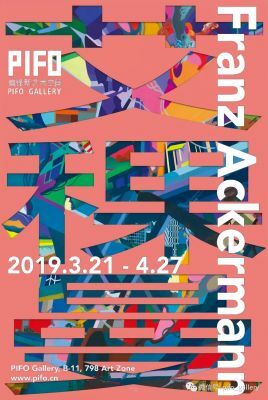 PIFO Gallery is delighted to present the distinguished Germany contemporary artist Franz Ackermann’s first solo exhibition in mainland China. Franz Ackermann was born in 1963, awarded the scholarship from the German Academic Exchange Service (DAAD) in 1990, he is well-known for the psychedelic, vibrant paintings and immersive installations. His works have been shown in numerous international exhibitions and are kept in major museums such as the Museum of Modern Art, in New York. Franz Ackermann is considered as one of the most active influential artists in the world.